Yep, it was great watching the news last night, seeing the Lotus roundel in full view and hearing the words' Lotus' again and again. That's the sort of coverage and exposure DB was after and with the associated hype who knows... he might just have pulled off the financing. As it stands I'll be interested to see if they hit the news later for other less happy reasons... or if not today maybe next week, or next month. Love him or hate him, you've got to thank him for the work he did in getting the Lotus name on the top step of F1! Sometimes you need the vision to get the money and Sunday's performance looks like part of DB's long term strategy was beginning to pay off... somehow I don't see DRB capitalising on it in the same way DB would have done. He didn't have the money for long! His strategy never did and would never HAVE worked. There wasn't enough money, he was too disorganised jumping from one project to another, he didn't understand cost management, running an automotive firm, listening to good advice or the design, development and manufacturing process. All he understood was Marketing and brand development. Whilst it's a good advert for his true skills that you guys would rather have him back, it's also a testament to peoples lack of understanding exactly what he has done to Lotus. All of the issues Lotus have are due to the person you talk about with fondness. MJK left a company with no debts, in profit for the first time in 10 years, with it's first new model in the same period and some great profitable sub-models like the 2-11 (which was a real money spinner). In 3 years DB built up a debt of more than what the company is worth, systematically took apart any profitable area's like design and engineering and cancelled or destroyed, through comment, all the other models. Only reinstating things like the Exige after pressure from other area's. I'm trying not to be critical of you guys and I know DRB may be a little too cost focussed, but NONE of the DB visions would have happened. The fact DRB have had to cancel them should be an indication that they were hopeless cases!! Stirling you know I have utmost respect for you but one GP win from a team DB sponsored is really not the culmination or a sign his plan was working. It was a sign his targetting was good with his marketing. I don't think a car company can get any better PR from winning an F1 race though, can they? There's a news article on the Lotus homepage and some facebook/twitter traffic since Kimi's win. Other than the Lotus name and logo all over worldwide TV from Sunday, what should DRB/Proton/Lotus be doing to capitalise on the win? Top step on the podium all around the world... that sounds to me like DB's strategy was working pretty damn well and on schedule.... and marketing was a huge part of DB's plan. I think DB had so great ideas and a great vision but I am also with Kimbers in that having a vision is one thing .The thing is with Lotus they are not like some of the real big boys and don't have unlimited funds. Any [email protected] can tell you what you should do but being able to make it viable is a whole different game. MJK was able to do this and keep the balance. I think had he been able to secure more funding maybe 1/4 of what DB p1ssed down the drain he would have worked more miracles. I always suspected he would have killed for half of what DB had and you would have had a new Esprit and an all new Elise Exige by now...plus a all new Supercar on the way. No matter what everyone thinks, if you love Lotus then you must support DRB. Even when I was at my most critical of the previous management I always wanted the company to survive and people to keep their jobs. It's pretty much essential to my local economy where I live! Indeed... at the end of the day we all care about the marque and want it to survive. DRB don't inspire confidence though, I've no idea why they didn't sell the company once the first year was up and I doubt we'll ever be any the wiser. Careful with that poll, if DRB pulls the plug tomorrow, then Lotus is gone. And I wouldn't be surprised if it is gone forever. The mess AND debts that Bahar has left are huge. 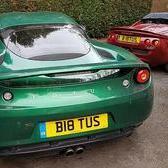 I'm very sure DRB has already put sh*t loads of money into Lotus, to keep it running as is. It seems that a lot of people in here have already forgotten that Bahar made a lot of good people leave Lotus and left Lotus with not a single car production ready for over 2 years, and even so he would need to find an extra 200 million to make the first production car ready!!! That is very sad. But I do agree DRB should be more open to the press about what they are doing. That's a good point. Careful with that poll, if DRB pulls the plug tomorrow, then Lotus is gone. yes, I don't see anyone taking over the pile of debts and the mess, in these times of great economic crisis. So Lotus will need to go bankrupt first before any one want to start it up again. Hate to see that happen. That's why I think David Hunt is such a respectable person, he didn't let Team Lotus down. Isn't the majority of the Lotus debt underwritten by Proton, so that if Lotus went under the debt is till owed by Proton rather than being written off? In which case it makes bankruptcy even less likely. I can't imagine anyone would seriously state that DRB is doing a good job in Lotus PR and probably have no understanding of managing global PR fr a non-Malaysian subsiduary. However, all they have said so far does indicate their serious commitment to restoring Lotus to profitability. In fact, it seems thay have made considerable progess along this road. 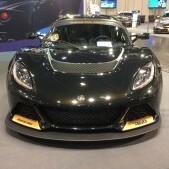 So, there should not be a real worry regarding potential bankruptcy by Lotus. Nonetheless, Dany had a vision for Lotus future, which DRB seemingly does not have (at least they haven't let anyone take part in it). No Andy. The debts are attributed to Lotus. I bet the lawyers will have to put in little effort to prove it's spent on Lotus and technically theirs. But you can not deny lotus is in very very very deep sh*t if drb gives in/up. Yea but Lotus is brilliant! Just wanted to inject something positive! I bet the lawyers will have to put in little effort to prove it's spent on Lotus and technically theirs. Well Bibs I'm not an accountant nor a lawyer, you probably know this better then I do and let's assume the loan is not Lotus's. But aside from the loan I remember Lotus closing last year with a $180 million loss and they had ended 2011 with a $35 million loss.Not to mention the loss of 2010. It all adds up. I honestly don't see other companies investing in such loss making car company, in these times of economic crisis and at times where automotive is treated as if it is radio-active waist and you need to go around in a very big circle. So I keep my fingers crossed DRB remains committed and that they spread their plans over the media. So we all know if we can believe in it. That $180 million loss was almost entirely attributable to one-time writeoffs taken on the development expenditures for the previous five car business plan. Let's hope DRB was thorough on this and fully cleared the books - without imposing new debt on Lotus. The important thing is that Lotus is meanwhile at or near profitability with regard to day-to-day business. That is the important factor regarding Lotus future and the willingness of anyone to invest further.